In the aftermath of an accident, most people try to manage their various insurance claims themselves. In the best of all worlds, their medical insurance claims pay for their injuries, their car insurance claims pay for any damage done to their motor vehicles, and their disability insurance offsets wages lost due to missed work. Unfortunately, we rarely live in the best of all worlds. Insurance claims may not be enough to cover all costs related to your injury. If your accident occurred in New Jersey, you may consider hiring one of the many personal injury law firms to assist you with your claims. But how do you know if this is really necessary? First, if the accident caused severe injuries, or the question of fault remains undetermined, all parties involved should retain knowledgeable personal injury attorneys. 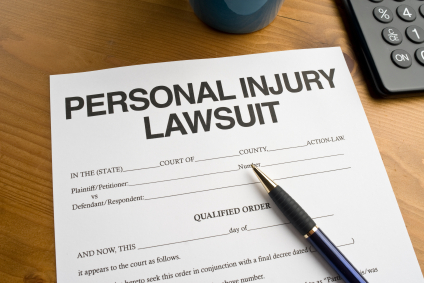 It may be advisable to hire a personal injury law firm as soon after your injury as possible. The various insurance companies will begin questioning everyone involved almost immediately. If the accident warrants it, the police may also have questions for the involved parties. Personal injury law firms can usually handle such questioning on your behalf, allowing you to focus on your recovery, and can protect you from making statements that could damage your case. In addition, New Jersey law firms or insurance companies representing other parties in the case may try to pressure you into a settlement. You need your own personal injury firm to help determine if that settlement is fair. Your personal injury attorney may advise you to accept the settlement offered by the insurance company. However, if your attorney believes you may be able to achieve a better outcome through litigation, they may encourage you to begin negotiations yourself to see if you can reach a satisfactory conclusion.